June 5, 2013, 9:07 a.m. The Boston NPR station is using an early version of Creatavist, the new storytelling and layout platform from Atavist, in its coverage of the notorious mobster’s life and upcoming trial. By Justin Ellis @JustinNXT June 5, 2013, 9:07 a.m. There are stories, and then there’s Whitey Bulger’s story. A notorious Irish mobster whose criminal career in Boston inspired no shortage of books, movies, and rumor, Bulger now faces his day in court. “We think this is just the first step in these type of tools being available very, very affordably to anyone to tell any kind of story they want to tell,” said Atavist CEO Evan Ratliff. “Bulger on Trial” is a story told across multiple chapters, focusing on Bulger’s victims, his rise to power, and his life as a fugitive, as well through his brother, former State Senate President William Bulger, and John Connolly, the FBI agent who asked Bulger to become an informant who ultimately ended up feeding tips to the mobster. The design has a magazine-like scope to it, with wide display for photos and video. It’s a design style that is becoming familiar to readers and media watchers alike, seen in places like The New York Times, ESPN, Pitchfork, The Washington Post, The Chronicle of Higher Education, and The Memphis Commercial Appeal. Lisa Tobin, WBUR’s senior innovation producer, said the station wanted to find a way to provide deeper context on Bulger’s life during his trial. One benefit they had was reporter David Boeri, who’s covered Bulger for 30 years and literally has a barn full of files including documents, photos, interviews, and old video footage. “The idea was to write these stories, but complement them by trying to produce this full archive of content he’s collected for decades,” Tobin said. Tobin is responsible for WBUR’s internal innovation program, which gives staff members time to work on new projects that might benefit the station. She knew they needed a platform that could handle a large amount of multimedia and present it alongside text in a compelling design. After hearing about Creatavist from a friend, she contacted Atavist about using the platform; Atavist agreed to help build the project on a contract basis. Tobin said Creatavist works similar to a CMS like WordPress and that adding and arranging content is simple. The difficult part, she said, was sorting and organizing Boeri’s deep archive of material and finding the right ways to use it throughout the story. On a larger scale, Creatavist makes it possible for publishers or individual writers to publish stories in multiple forms, as immersive websites, apps, or traditional ebooks. Since launching in 2011, Atavist has been working as a publisher and software maker, helping individual authors and media companies produce single ebooks and magazines. In some cases they produce the stories themselves, in others they licensed their software. With Creatavist, they’re opening up the process to others. Similar to platforms like WordPress, Creatavist has different tiers of service, from free to $10 per month, with varying levels of features. A new, currently unpriced tier will allow more custom template options and support. Ratliff said they want to dispel the idea that building the layout for projects like “Bulger on Trial” takes countless hours and resources. “People have been talking about how expensive this stuff is to do. We wanted to show we’ve been doing this for two years — we’ve been doing this from the beginning,” he said. Ratliff expects it will be six weeks until the web layout options are available in Creatavist. 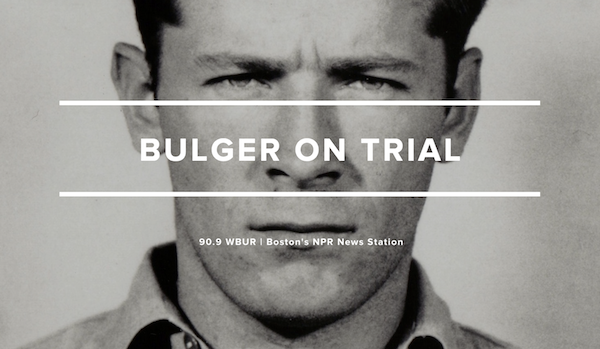 While “Bulger on Trial” seems tailor-made for the one-time blowout narrative treatment, WBUR plans to use the new subsite to play an active role in its ongoing coverage of the mobster’s court case. Tobin said the site will be the station’s main hub for information on the trial, with a live blog providing daily coverage, along with analysis and reporting from Boeri. But the benefit of combining the two is that they’ll be able to provide quick context for readers. Rather than being a kind of static tale of the past, the story will be ongoing, Tobin said. Putting the site at the center of WBUR’s coverage on Bulger is an interesting step because it takes the story package outside of the statement-journalism type of environment that immersive narratives often become trapped in. “So often sites like this are gorgeous, they’re great to read, very interactive, and they go up, make a splash, and then after two days they’re gone,” she said. POSTED June 5, 2013, 9:07 a.m.
Ellis, Justin. "WBUR partners with Atavist to tell the story of Whitey Bulger and templatize feature presentation." Nieman Journalism Lab. Nieman Foundation for Journalism at Harvard, 5 Jun. 2013. Web. 20 Apr. 2019. Ellis, Justin. "WBUR partners with Atavist to tell the story of Whitey Bulger and templatize feature presentation." Nieman Journalism Lab. Last modified June 5, 2013. Accessed April 20, 2019. https://www.niemanlab.org/2013/06/wbur-partners-with-atavist-to-tell-the-story-of-whitey-bulger-and-templatize-feature-presentation/.